I thought it would be fun to try a guided discussion article, and why not use a show often compared to Sword Art Online (which I recently talked about), Log Horizon? I'll discuss my views on Log Horizon, and while I'm at it, pose a few questions to the readers. (For the official Ani-TAY review, see Dex's article) Warning: minor spoilers for the show Log Horizon. Log Horizon has one of the most well-developed worlds possible with a mere 25 episodes of screen time. It also has an interesting premise: the players aren't just trapped in an MMO, the MMO has become their world. NPCs are no longer NPCs, but instead real people. While many of the game rules such as reviving upon death and not fighting in player cities stay, the players have to discover these new rules, and even make some of their own. Much like Sword Art Online is able to examine psychological effects of players being trapped in a death game, Log Horizon examines the psychological effects on players who face minimal consequences for their actions. To this degree, it handles itself extremely well. The players all react in different ways, leading to my first question: How would you react if you were dropped into an MMO where you could revive upon death? What about one where you die permanently? 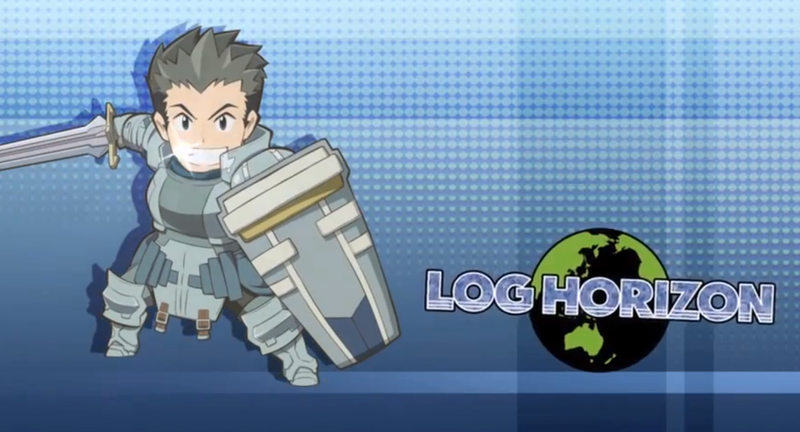 Unlike Sword Art Online, classes are also explored with much more detail in Log Horizon. In the game, each player has a class and the classes all play individual roles. As the show progresses, politics begin to make an appearance. Shiroe notices a caste system of players begin to develop, and decides to create an official government in order to protect the rights of players in smaller guilds. To do this, he gets enough money to buy the Guild Hall, where all guild bases are located. He then effectively blackmails the other leaders into forming this group. Through his self-created image as the man pulling the strings in the background, Shiroe earns the suspicions of many regular players, despite being a kind and caring man to those who know him. Viewers also witness Shiroe's insecurities, his slight social anxiety, and his desire to help those in need. Many other characters are introduced throughout Log Horizon, such as Akatsuki, a quiet assassin who has a small crush on Shiroe, and Crusty, the leader of a large combat guild who befriends a princess despite her uninterested demeanor. With such a large cast of characters, it will come to no surprise that there are often multiple story lines being played out at once. While at a conference with the People of the Land that form the alliance called the League of Freedom Cities, Shiroe also is in contact with the less experienced twins Minori and Tohya as they go on a 'summer camp' to train and grow their levels and teamwork skills with other younger players. These side stories also interact quite nicely with each other, as when a goblin problem arises, both Shiroe and the twins are faced with problems related to the same issue but also different. With this, I pose my final question: What kind of shows are the best, those with multiple branching story lines, or those that have a more focused plot? Thanks for reading! Since this whole idea is an experiment, I would greatly appreciate any comments with thoughtful responses to the questions, and will try to respond to everyone.